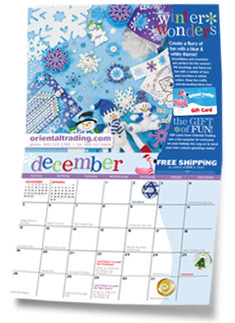 Oriental Trading Calendar 2010 - FREE! A special money-saving offer for you each month! New tips & idea starters to help you plan fun events all year long! Shopping reminders for guaranteed holiday delivery. Tons of unique dates to celebrate every month, such as "National Ice Cream Day!"